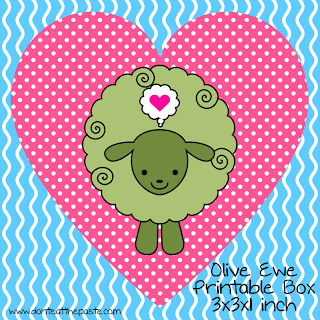 Remember my Olive Ewe printables earlier this month? I decided it was time for a gift box as well. Does anyone want to see this little sheep on a mandala or coloring page? 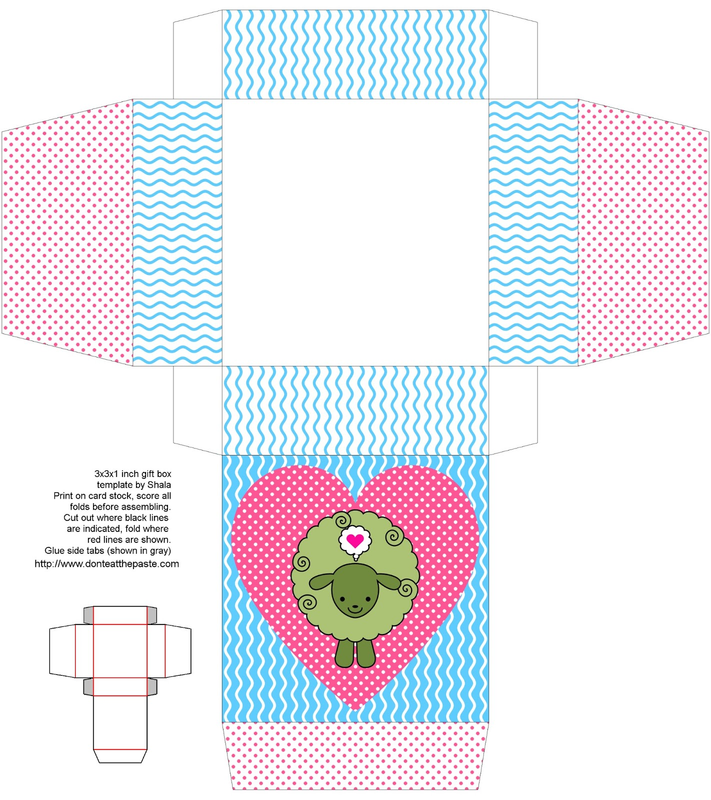 Click the image below for a larger version to print. Print on cardstock, cut out, score, fold, glue. 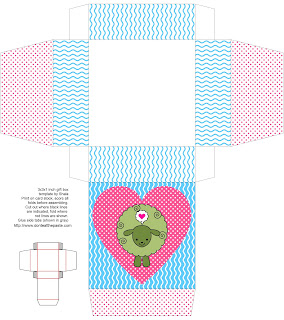 If you have issues printing, download the image and print to fit page from a graphics program OR switch to Chrome browser, it handles higher quality images better. 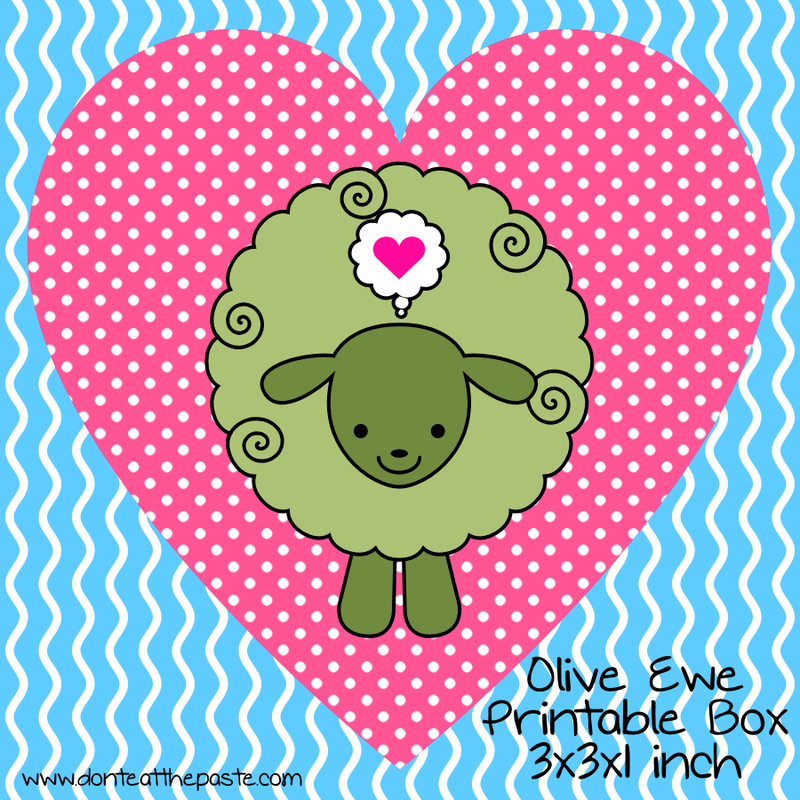 I'm working on a new craft project that will be put up probably tomorrow and planning out some printables that will use my chocolate slide box templates. If you aren't already following me on Pinterest you might not know my daughter is pinning to my board. We decided because we both use the same browser, it's easier to give her a board on my boards then for me to have to sign her out and sign myself back in every single time I want to pin. Her board is the Turnip Girl board, and it's full of geektastic pins. Heavy on Doctor Who of course, but also other geeky crafts or things she found interesting.